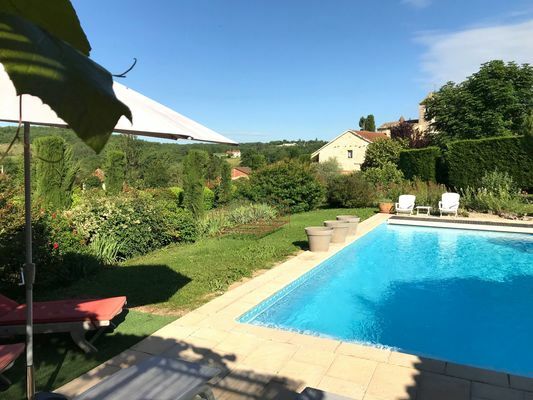 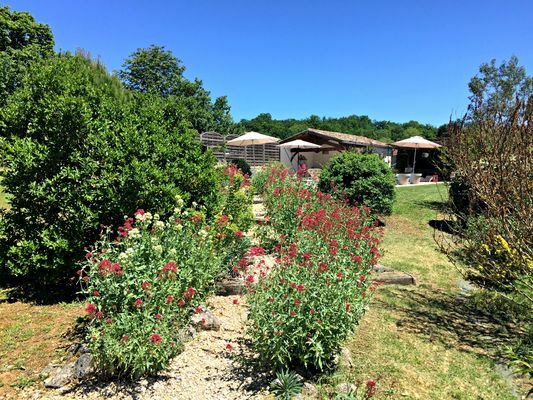 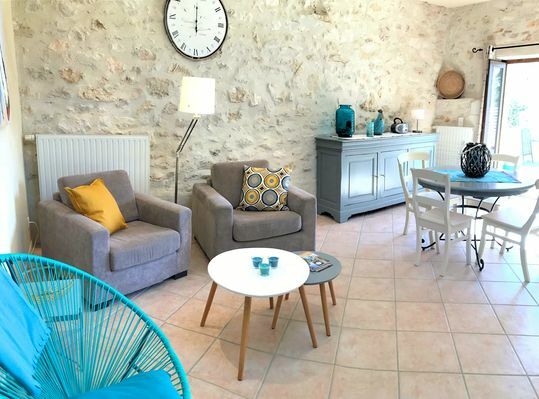 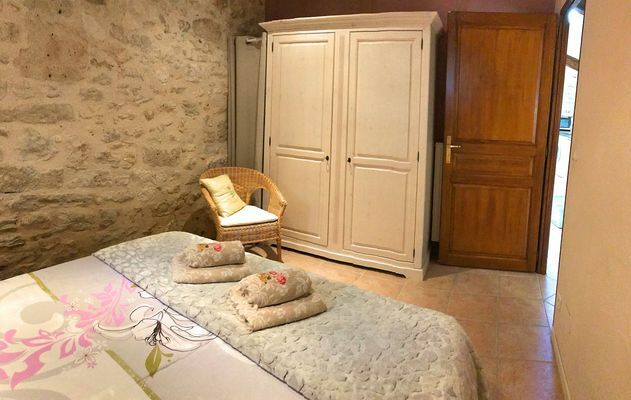 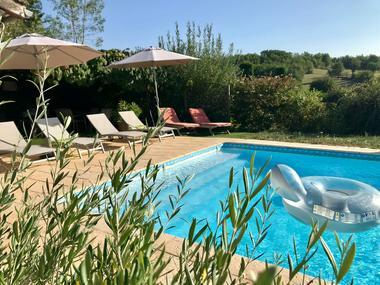 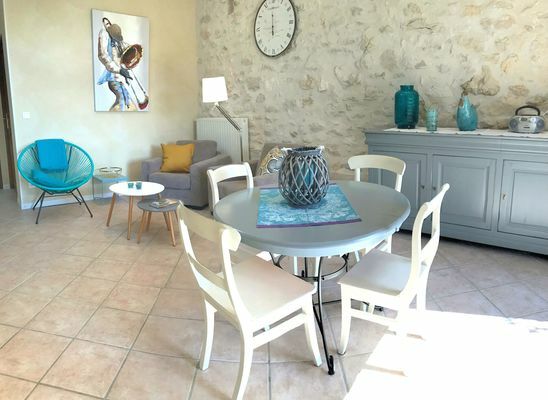 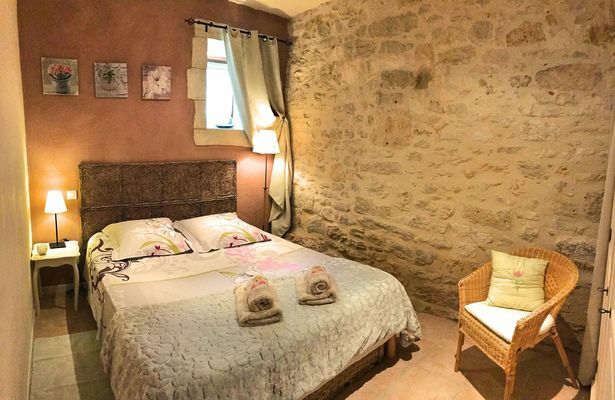 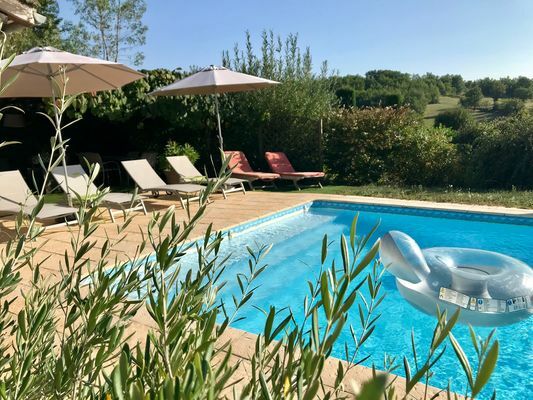 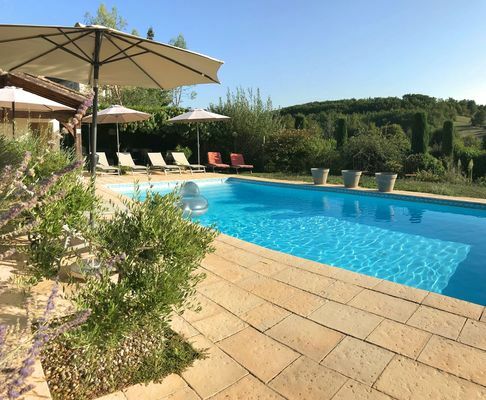 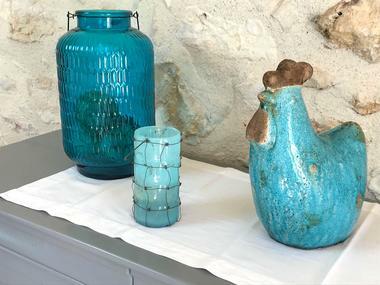 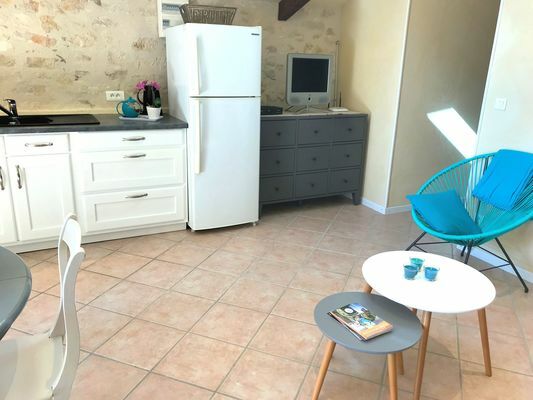 You are sure to enjoy your holiday in the peace and quiet of this pleasant stone-built gîte on the heights above the Lot Valley and the Cahors Vineyards. La Grangette is attractively decorated and has a large terrace giving a view of the countryside and the magnificent sunsets over the Lot. Nearby, there are many footpaths which will lead you to explore the authentic, still unspoilt countryside. Our little extra : when you arrive, your bed will be ready made up, towels etc. available, free wifi, heated pool, and there'll be an aperitif over which we can welcome you properly.